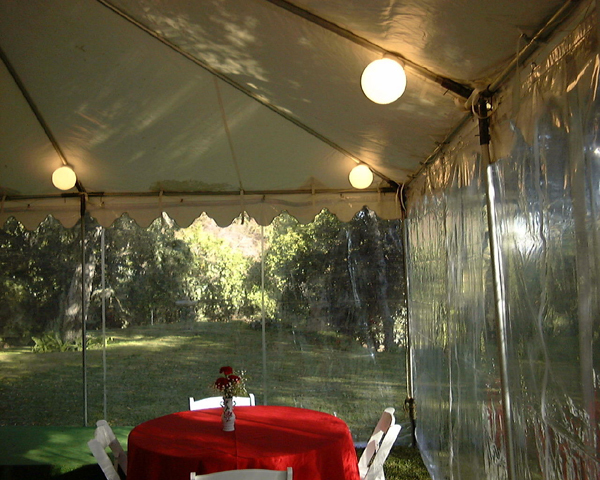 The fastest and easiest way to light tents. 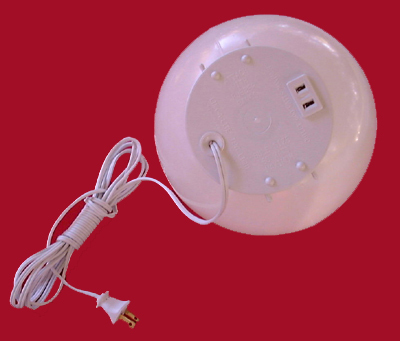 Convenient 600 watt outlet on each light for easy linking together. Quick set up for a quick return on your investment. Designed for the rental industry. band mounting system. Unbreakable, snap together, 8" poly globe. 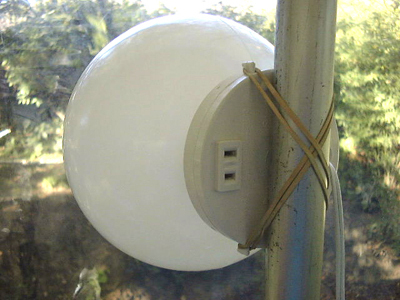 NO bulbs required, 9 watt LED put out the equivalent light of a 60 watt bulb. LED resists shock so it won't burn out easily. 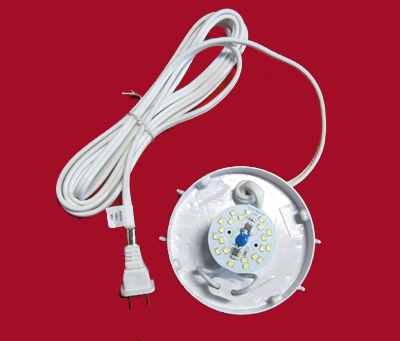 Our LED is dimmable using a separate dimming switch. 600 watt outlet allows you can link up to 66 together. WOW! 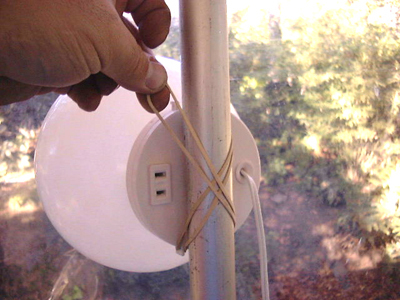 12 foot cord with outlet for ideal spacing. Double insulated and unbreakable. Why are San Marino's prices so reasonable? They are made entirely in the U.S.A.